Lo-Chlor Spa Miraclear Cubes are the only cubes suitable for use in cartridge filters. 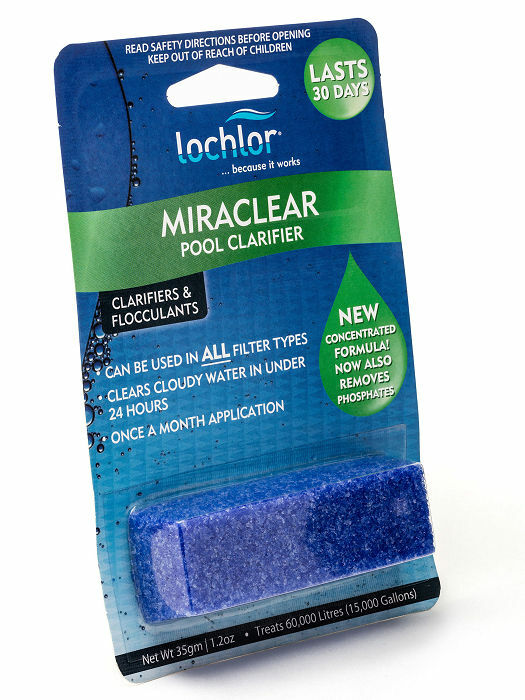 Lo-Chlor Spa Miraclear Cubes are the only cubes suitable for use in cartridge filters. They are unique, cube shaped, clarifying agents, produce outstanding water clarity and are suitable for use in both pools and spas. These 35g spa size cubes are ideal to treat your spa for 30 days. Any Spa owner who has a cloudy, unsightly Spa. They are the ideal product for the spa owner who wants to add sparkle to a dull looking spa. Miraclear Cubes will keep a spa sparkling for 30 days.